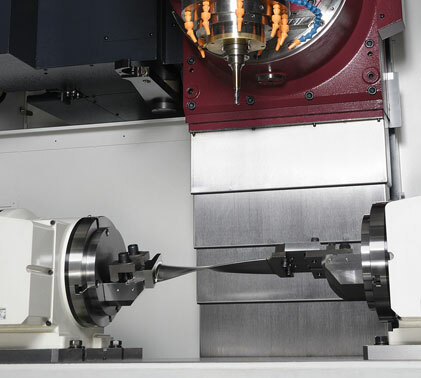 Ideal for Turbine Blades and More. 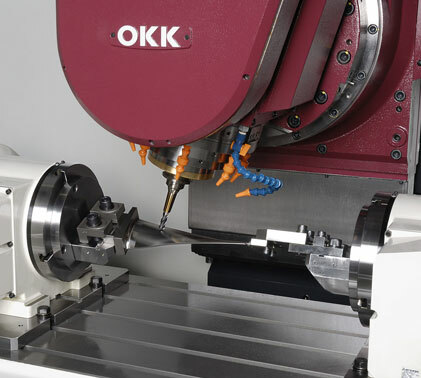 Finish complicated undercut root work piece in one holding with the swivel B-axis. 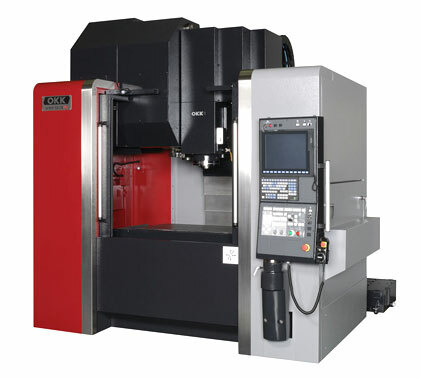 The VM-X53R has no Backlash due to a B-axis swivel spindle head driven by a roller gear and A-axis direct drive rotary table. Blades of up to 400mm in length are possible on the VM-X53R. Travel (A/C) 360/-90 to 90 deg.